Oh, cool! We’re at the veterinary clinic! I got a little pouffy for that dog back there but he wasn’t impressed. I like to rub my nose on my leash! Wow! I weigh 101.2 pounds! I have gained a couple pounds every month since I was weighed last June. And I am still slender, so I can pack on some more pounds even if I am not really growing any more! Everybody is looking at me now so I better get pouffy again! Aren’t you getting a little personal with that thing? Okay, I’m ready to go now. I’ll just hide under this table for a while. They brought me a little blanket and I got a stuffed dog to play with. What are we waiting for, anyway? I’ll just get comfortable over here. I’m actually a little sleepy. They stuck my nose in a mask, but the Large Dog size is too small for my big fat nose. Fine, whatever, smash it on there. So what is funny about that when the mask is not even remotely sealed around my nose? The next thing I knew they were putting my harness back on. What happened? I’ll never know. So tell me again which planet we live on? I’m holding so still she can take close-up photos without me putting my shnozzola on the lens! I can’t stand up yet because my paws aren’t facing the ground yet. You can see the underside of my right paw in this photo. An alert capybara would never be caught in such a compromising position. I’ll just rest here for another HOUR until I can scramble out of here. I don’t know how I got home but this milk sure looks good. I can’t remember what to do with it so I’ll just stare at it for a while. Two hours later I’m still working on the same bowl of milk! I think I’ll sleep inside tonight! 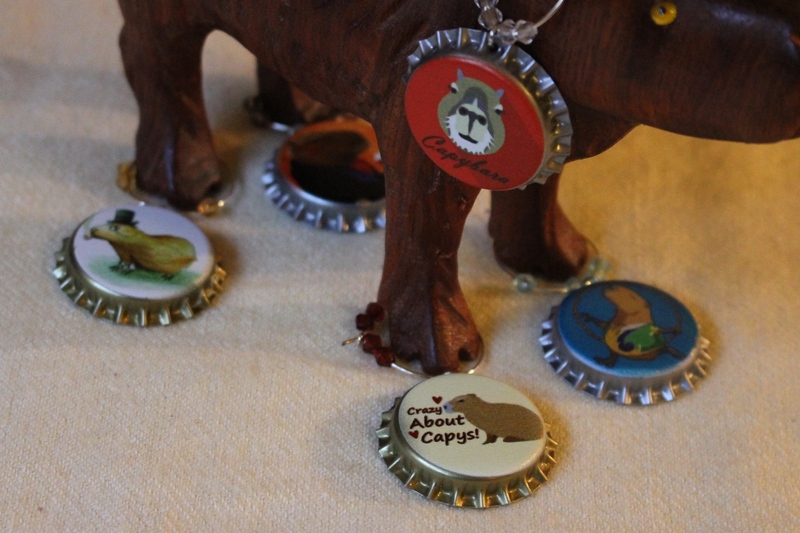 Happy birthday to my favorite Seattle capybara! Did you teach your vet how to play the poo(p) game? A happy time at the vet clinic is always good news!